Politicians in India firmly believe that the woes of farmers can be solved with freebies: free electricity, free water, farm loan waivers, fertilisers and seed subsidies, minimum support prices, etc. Little attention is paid to what really ails Indian agriculture: low productivity. From rice to wheat to coarse grains and pulses, from cash crops to food crops, Indian agriculture is punctured with very low productivity. Let’s start with rice. India’s rice cultivation area is the highest in the world. It is also the world’s secondlargest producer of rice. Given these glowing statistics, outsiders may assume that India must surely have certain special advantages in growing rice that other countries do not — that we must have figured out the most productive technology of cultivating rice and other countries should replicate our model. Alas, they would be wrong in their assumptions. Rice guzzles water and India is a water-scarce country. States that devote large proportions of land to paddy cultivation have dangerously low water tables. India has one of the lowest productivity of rice in the world. In short, India has no special advantage in growing rice, and other countries should be advised to stay away from the India model. China produces roughly a third more rice than India but uses about two-thirds of India’s land area. 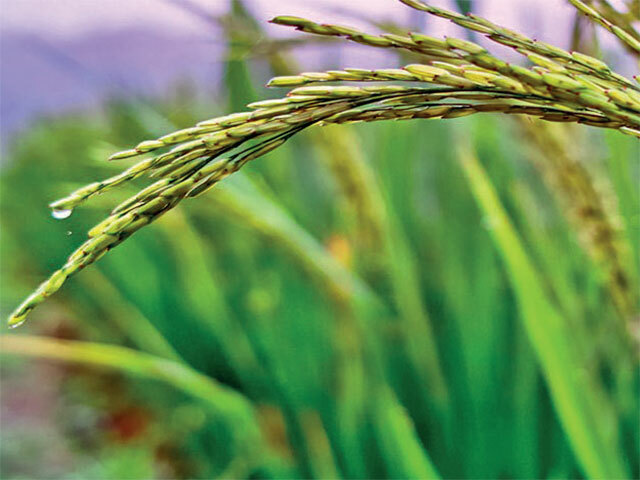 Consequently, China’s rice productivity is close to 7 tonnes per hectare versus India’s 4. Australia’s is 10 tonnes per hectare, followed by Egypt and the US with 8.5. This raises the question: why, despite low productivity and water shortages, are Indian farmers more likely to grow rice than farmers elsewhere in the world? The answer is market distortions in the form of free water, free electricity and minimum support prices that make it profitable for farmers in many parts of India to cultivate rice. The story of low productivity in Indian agriculture goes beyond rice. Consider wheat. India’s average yield is 3 tonnes per hectare versus China’s 5. Namibia and Zambia get 7 tonnes per hectare, New Zealand 8, and the EU countries average 6 tonnes. The same goes for most other crops. Not only do we use more land but we also use more water, to produce less. A 2010 report (The Green, Blue and Grey Water Footprint of Rice From Both a Production and Consumption Perspective, goo.gl/4tCSGZ) by Unesco-IHE Institute for Water Education (now, IHE Deft Institute for Water Education) has computed water footprint of rice production: the ratio of total volume of water used to quantity produced. It is 2,020 cu m per tonne in India, 970 in China, and the global average is 1,325. The good news is that it is possible to increase crop productivity, save water use and reduce fertiliser consumption at the same time. Many studies conducted in several states of India provide evidence for this optimism. A2014 National Mission on Micro Irrigation (NMMI) impact evaluation study (goo.gl/LjupbK) in 13 states found that use of micro-irrigation technologies lowered electricity consumption 31% and fertiliser consumption about 28%, and increased average productivity of fruit 42% and of vegetables 52%. Another study showed a 45% increase in the yield of wheat, a 20% increase in the yield of gram and a 40% increase in the yield of soybean for farmers adopting micro-irrigation, at the same time increasing water efficiency and lowering fertiliser use. Clearly, modern methods of irrigation — drip irrigation and sprinkler irrigation — have many advantages over conventional methods. Yet, the area under micro-irrigation is tiny. Only about 5.7% of the total irrigated area is under micro-irrigation (2.8% under drip irrigation and 2.9% under sprinkler irrigation). Among the many reasons why farmers have not adopted new modes of irrigation are lack of initial capital for installing these devices and limited knowledge about micro-irrigation schemes. There is substantial subsidy for drip irrigation and sprinklers as well, but clearly not good enough because of upfront costs, delays in subsidy disbursement and, most of all, free water. When water is free, farmers have little incentive make investments to conserve it. The point is the policy focus of Indian agriculture needs to shift. Instead of promising free water, which cannot last forever, GoI needs to ensure that farmers use modern technologies that minimise water use. Instead of giving fertiliser subsidies, of which only a third reach the intended beneficiaries, it needs to introduce, educate and incentivise farmers of the use of technologies that optimise fertiliser use and minimise cost. Instead of asking for loan waivers, farmers and their organisations should shift to technologies that result in efficient use of these loans. The weakest link is farm extension —educating and facilitating farmers to use scientific research to increase yield. The traditional model was that of public extension services. That has not quite worked. Consider the gap in yields of major crops between Punjab, Haryana and other states, especially Bihar. 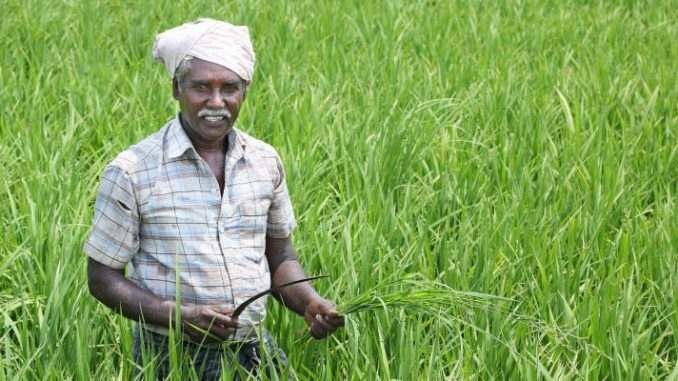 New models of farm extension via participation of agribusiness companies, NGOs, producer organisations and farmer-to-farmer exchanges across states should grow. The freebies have cost Indian agriculture dearly and deprived farmers of modernisation and economic security. They should reject the political system that creates these freebies and opt for modernising agriculture.